Imagine the automotive world without the Porsche 911. That would be any car lover’s worst nightmare, but it was precisely the scenario that the management at Porsche had in mind in the early 1970s. Porsche 911 sales were good (>10,000 per year), but the bosses at Porsche thought that the automotive market was going to change soon, and that as the 1980s approached, no one would want to buy this remnant from the evolution of the Beetle anymore. 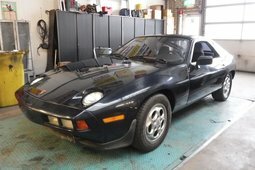 Contrary to popular belief, the Porsche 928 project was launched before the low-cost, VW-based 924. 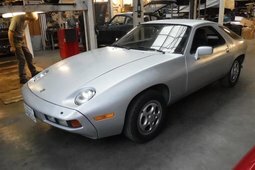 Back in 1972, Porsche’s new CEO – Dr Ernst Fuhrmann – envisioned that a large, sophisticated luxury coupé would become the company’s flagship: the 928, which would break the air-cooled tradition and would offer a front-mounted, water-cooled, big block V8 engine for the first time in the company's history. Tony Lapine was appointed chief designer for the new project, and he was perfect for this mission, since like Fuhrmann, he wasn’t a fan of the 911 and wasn’t shy about saying so. In its debut in 1977, the Porsche 928 was the true star of the Geneva Motor Show: with its sleek, futuristic body, long bonnet with flip-up headlights, and integrated bumpers, it met public expectations perfectly. Admiration for the car was also expressed by journalists who named Porsche’s new product the European Car of the Year, making it – as we know now – the only sports car to have ever won this award. Hence, Porsche moved into the 1980s as optimistic as ever. It finally had a complete line of models, with the affordable 924, the traditional 911, and a new flagman in the 928, which was expected to force potential Jaguar XJS and Mercedes-Benz SL buyers to change their minds. 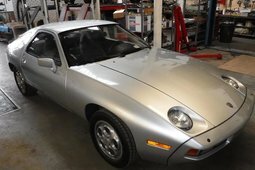 The Porsche 928 was truly high-tech for its time, featuring aluminium body parts, a Weissach axle rear suspension arrangement, and plenty of electrical adjustments inside – even the steering wheel and dash console adjusted as one. The 4.5-litre V8 engine generated a solid 240 PS, which might not be the most by Porsche standards, but was still enough to reach 100 km/h in 7 seconds and steadily accelerate to 230 km/h. However, the Germans had to face up to reality, because all of these good things were not reflected in sales, which were poor right from the start – and not even because the 928 cost more than a 911. The fact of the matter was that in creating this big luxury coupé, Porsche executives were not really grasping what their customers were looking for. People bought the 911 precisely because it was different from a Mercedes-Benz and a Jaguar; Porsche fans simply adored this classic air-cooled sports car, and very few of them were prepared to exchange it for the less sporty 928. And Mercedes and Jaguar fans weren’t crazy about the 928 either – even though it was a great tourer, the new Porsche still seemed too sporty to them. 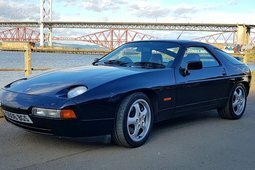 Yes, Porsche did everything it could, introducing the 928S version in 1980, followed by the S2, the S4, and the 1992 GTS with a 5.4-litre 350 PS engine that could hit 270 km/h, but it didn’t help much. Over its entire lifespan, the 928 was one of the most expensive cars on the market, costing USD 40,000 in 1978 and over USD 100,000 in 1995, its final year of production; and over those 18 years, it never did manage to win over faithful 911 purists. For them, the 928 was always just a slightly sportier version of the Mercedes-Benz SL, and one that didn’t have a chance of matching the wonderful 911, so annual 928 sales never exceeded 6,000 cars (with 60,870 produced in all). Ironically, the loyal customers who steadily bought 911s even when Porsche itself was doing everything it could to prevent it ended up saving not only the 911, but probably the entire company. Yes, the 928 will never become a cult classic like the 930 version of the Porsche 911, but that doesn’t mean that the 928 is cheap right now. Take the swan song – the rare GTS version, with only 2,887 produced from 1992 to 1995 – for example: one of these in mint condition now goes for more than EUR 50,000. However, other models (S, S2, S4, GT) that are impeccably-kept can also cost just as much. 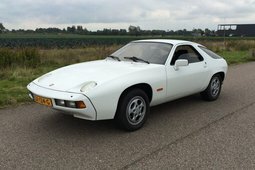 The universal rule that you should buy classic cars in the best possible condition and with a known history is as valid as ever in the case of the Porsche 928. The technically complicated 928 demanded regular qualified servicing (the importance of the >2 metre-long timing belt alone, which had to be replaced at least every 60,000 km to avoid seriously damaging the engine, so there aren’t many well-maintained cars on the market. And since there aren’t many good ones, their value is increasing much as any other collectible Porsche. 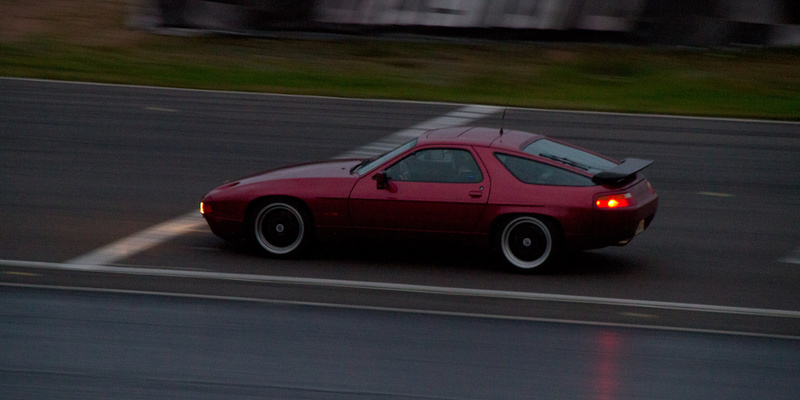 However, just like every noteworthy car, a 928 should be purchased not as an investment, but because you like it. And even though it is not a model that Porsche is particularly proud of, the 928 still has an incredible number of features to like.